There is no better way to explore the beautiful country of Canada than getting outdoors. Arguably the Canadian Rockies are amongst the most beautiful of all landscapes in Canada and to fully appreciate them, one must get out and hike. Fall is the perfect weather for hiking, not too hot, not too cold and offers spectacular colors as the leaves change from green to shades of orange, yellow and red. It was with great joy that I have had the chance to hike some of the most incredible mountains in all of Canada, and by hike I mean rock climb up straight shale, piggy back my 7-year-old and get lost about 15 times. “Don’t forget the bear spray”, my partner yelled at me as I hurried out the door at 8am, en route to a moderate fall hike in the Rockies. I laughed at him as I shook my head, thinking he was the last person on earth to give me any sort of advice, judging by the fact I have never seen him in hiking boots. I was off to meet my sister, my partner in crime, my hiking buddy who yells at me when I want to quit, brings all the good snacks and brings workout fashion gear to a whole new level. She also happens to be a pretty rad photographer. Driving out to Kananaskis Country from Calgary is well, relatively uninteresting; that is until you see the towering Rockies in front of you. We are off to tackle Nihahi Ridge, a hike that had been recommended to us which was only supposed to take three hours. The last stop along the way is a gas station where my sister agreed we should probably get some bear spray. After all we are in grizzly bear country. After signing our lives away on a waiver, stating we couldn’t spray people with the bear spray and we wouldn’t sue if the bear ate us instead of running away once we had sprayed, it was off to the mountain. We chose this moderate hike because both of us are in fairly good shape, and do a lot of hiking. However, twenty minutes in we were both dying, which should have been our first warning sign. The way up is a steep trail through the woods, gorgeous, silent and empty of other hikers. Thankfully, about an hour in the trail levels off as you walk through the high meadow, sparse trees, the only sound is the beating of the wings of the birds above, and then you realize just how far away you are from the summit. Once you have crossed the meadow it’s time for a pit stop, a chance to refuel, get your energy back and admire the scenery. Unfortunately for us, we had already stopped about 5 times and get right on marching through. Welcome to the hard part of this hike. Nihahi Ridge is made up of shale, small slippery pieces of shale that are seemingly waiting for you to take a wrong step and send you tumbling down the mountain. This is where the absolute epic scenery begins to emerge, although hard to appreciate as you walk very carefully along the skinny shale-free path. It is here that you are truly in the middle of the mountains, with nothing but lakes and peaks as far as the eye can see. Walking this steep uphill required me to dig deep inside, as my legs were screaming at me to stop and it was taking all my focus not to fall down. It feels as though you are going to circle the entire mountain, as the path seems endless in front of you, which is until it abruptly stops and what you face is an uphill rock climbing battle. My sister and I looked at one another with worried expressions on our face, than looked around for an alternative route. Thinking desperately we made a mistake or a wrong turn. As the wind howled around us and the air temperature dropped, I began to climb, praying that I would remember everything I learned in rock climbing lessons that I took almost 20 years ago. As we inched our way to the top I felt a sense of pride and satisfaction, that we were conquering this mountain. That is until we came to the top and saw that it was not the top at all, but a mere obstacle on the way to the top. What awaited us for the next 30 minutes was a steep ascend through the slippery shale, to an even steeper ridge that looked impossible to cross. The summit looked impassable, far out of reach, yet there was other hikers up there and so without thinking twice, we began to slowly shuffle our way across the ridge. Room for only person at a time, it was a slow process, part walking, part crawling and desperately trying not to look down. And then we were there. We made it to the summit!! On top of the world, or at least that’s what it felt like. After three tiring hours, plenty of laughs, bruises and a couple wrong turns we had made it to the top. “We did it” I yelled as I posed for a picture, quietly muttering curse words under my breath about how much harder it was than I thought. For the way down, I will let the pictures here speak for themselves. The descent is steep, unforgiving and almost as hard to manage as going up. The views on the way down are incredible though, as you are far too focused on what lies behind while going up, not what is behind. It is a long hour down to the start of the trailhead, and then the gruelling half an hour hike through the campsite to reach the car. As you pull out of the parking lot and look back at the ridge, it becomes quite clear that although many call this a moderate hike, it should be put into the “less moderate more difficult” category, in our opinions. Family hiking should be fun, right? At least that was the plan when we decided to honor the tradition of a thanksgiving hike in the Rockies. Growing up, my sister and I had been bundled up every thanksgiving weekend by our mom and taken out for a hike, making it a long lasting memory. Now having our own children who are old enough to walk on their own (or so we thought), we decided to introduce this tradition to them. The perfect family hike we decided on was Grassi Lakes in the Canmore area which is a short, non-technical hike that leads you past breathtaking waterfalls and two incredible looking lakes. Arming ourselves with enough food and water for a small army, we set out to the mountains. It only took five minutes for one of our kids to sit down on the well-marked path and exclaim that they needed to be carried because they were tired. 5 MINUTES! You can see the look of despair in my sons eyes! Squashing that notion we carried on and about 10 minutes into the hike from the parking lot you come to a fork in the trail with a sign. Pointing either way it showed us that going left was the more difficult way and right was the easy way. At this point one would have thought to take the easy way but we wanted an adventure with the kids! Taking the left path we climbed gradually through forested terrain, taking pit stops every ten minutes. Being thanksgiving weekend, this trail was extremely busy with families, dogs and climbers. Emerging from the forest we came to an especially steep area. This area offered incredible views of the waterfall and the town of Canmore with a steep set of slippery stairs leading us up higher until we reached the lakes! Did I mention that both kids have complained enough times that we are now piggy backing them? The colors of the lakes was unbelievable. Grassi Lakes are two, small, shallow, pristine, aquamarine lakes that sit in the midst of mountain peaks and a figure eight trail led us around them, stopping every other moment to try and capture the color of the water. The water is clearer than any lake water I had ever seen before in my life, and when the sun hit the water it turned amazing colors of green and blue. There was an abundance of things to do up here with the kids including shallow caves to climb into, ancient rock paintings, rock climbers to watch and plenty of squirrels and chipmunks looking for food. Spending an hour at the top was easy; convincing the kids to get in for a photo on the other hand was the difficult part. When it was time to go, the kids begged to stay longer, seemingly forgetting that just an hour ago they were complaining that their legs hurt. We decided to take the easy route down, a fire road that leads pretty much straight down the side, devoid of any of the epic scenery we saw on the way up. A true family-friendly hike, whether the kids want to or not, this is one place we will be returning to for many years to come. “Let’s go”, I yell as I honk the horn impatiently in the driveway as I watch my hiking buddy scramble to grab everything we need for the moderate hike we are about to embark on. The destination is Yamnuska, also known as Mount John Laurie, a classic Bow Valley hike for hikers and climbers. 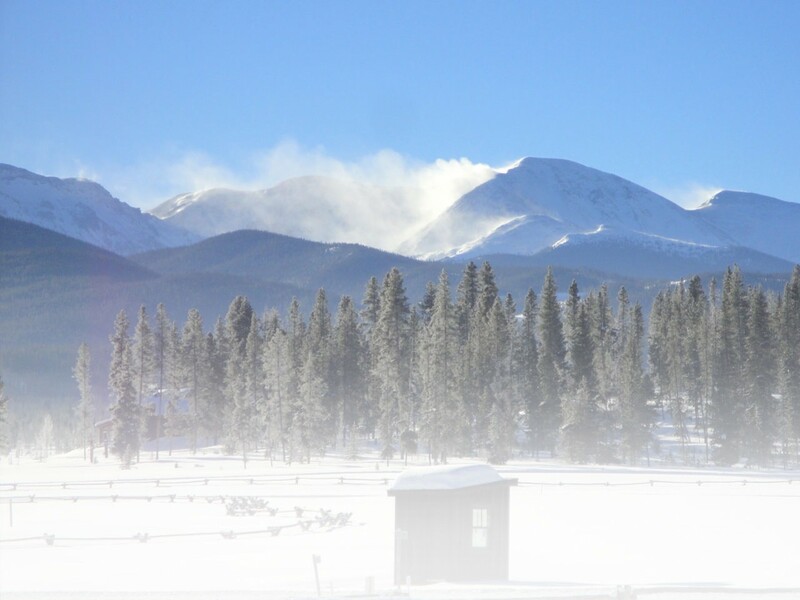 Its sheer 500′ face can be seen from the TransCanada and the peak is often in the clouds, and most of us locals refer to it simply as “the dinosaur”. There are many routes up this limestone mountain to the 2240m summit and although this popular peak is summited by an abundance of climbers, we were told even hikers can make it to the summit without special equipment. With our coffees in hand, backpacks on, and silly grins we set out from the parking lot to conquer this dinosaur. Not before looking around at the serious looking climbers with their trekking poles who had invaded the parking lot. Perhaps we were less prepared than we though. Coffee in hand! Not prepared enough for this hike! Although steep at times, the first 3km were through mixed forest with a wide variety of wild life including birds, and a forest grouse which we thought was a bear. I had laughed at the thought of carrying bear spray but after nearly having a heart attack hearing the grouse take off, I was regretting my choice not to buy any. The trail is tricky as it leads you away from the mountain and then back towards it, always making you wonder if you are lost. There are numerous branches off the trail, which offer incredible views and rest stops, and it is well worth stopping to snap some photos here. With my legs burning, fueled up on coffee and granola bars we finally made it to the Chimney, a tight wedge in the eastern edge of the rock that opens you out to the backside of the mountain. It is here where you ascend the face of the mountain and our true hiking/scrambling skills are put to the test. After squeezing our way through and dodging falling rocks from above, we thought we hit the summit. But oh no, this mountain offers plenty of false summits, which get your hopes up and pull them straight back down. Although the views were incredible and there were a couple of pillars to stand on to have a picture taken, we wanted to see the summit so we pushed on. Unfortunately, this is where our camera decided to crap out….. The fabled Yamnuska traverse awaited us next, a section that we had been warned about and a section that causes many many people to turn around in fear. Luckily for us, in recent years a chain has been fastened to the cliff and you were able to work hand over hand as we made our way around the narrow ledge. At times the ledge seemingly disappears, causing me to pause in fright before side stepping to the next foothold. Traversing the ledge on a previous summer hike! Arriving at the backside of the mountain, there is no clear trail up to the actual summit that we saw high above us. It’s time to get scrambling again and we made our way slowly to the top, up steep loose slopes that one misstep would result in absolute death. As always though the view from the summit are stunning, almost awe-inspiring as we looked on for miles. We could see the Seebe dam and the Bow River below as well as the prairies that open towards the east and the Rocky Mountains that rise to the west. Getting down seemed to be was our worst nightmare, as it starts with a quick run/fall down the back of the western face, in scree of course. As we flew through, we noticed other trekkers who were using their poles to successfully navigate their way down in a poised and careful manner. It did again run through my head that perhaps we weren’t as well prepared as we thought. The Western edge is where it gets tricky in knowing how to get down. There are so many ways both up and down this mountain and the trails veers in all sorts of directions. There is a choice, head down more scree on the right which is supposedly faster or take the well-worn trail that turns left and descends along the left side. Let me be clear and state that I did not want to go down anymore scree and choose the left path as we hung to the main trail and worked our way along the bottom of the cliff face. Eventually the trail hooked us back up to the prominent trail that can be seen from the parking lot and after descending down the small gravel slope, we were back on flat land! Three hikes: Three things checked off my bucket list in 2015. If you can get to the Canadian Rockies and squeeze in some hikes before the snow falls, make sure to check these three out! This entry was posted in Destinations, Features, Homepage Featured, News by Lindsay MacNevin. Bookmark the permalink.